Twelve pages • six times a year • Item # SB 999 A Newsletter dedicated to improving baseball and softball players. 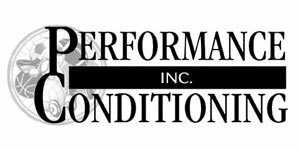 Serving Baseball and Softball with the latest conditioning information for over 15 years! Brought to you in cooperation with the National Fastpitch Coaches Association and the National High School Baseball Coaches Association. Featuring top professional, collegiate, high school baseball and softball conditioning programs! Provides coaches, athletes and parents of both baseball and softball players the latest information to improve athletic skills: power flexibility/mobility, speed, eye-hand coordination, balance etc. Also enhances baseball/softball skills (throwing, hitting, running, etc.) to achieve the goal of building better skilled baseball and softball athletes. Learn from major league and professional baseball and softball players and coaches. Easy to use format with understandable charts and illustrations and step-by-step checklists. Timely seasonal information presented six times a year. • Footwork development — position specific. • Achieve perfect balance, position and timing at the plate. • Post-game recovery for pitchers. • Improving throwing velocity and accuracy for pitching and field play. • Athletic skill tests to measure your progress. • Improve your first step base runner and field play speed. • Strength training for the shoulders and hips for pitchers. • Rotational range of motion stretching and strengthening exercises for hitters. • Building tracking abilities of the pitch and outfield ball play. • Regaining confidence after a bad outing for pitchers. • Throwing programs between starts. • In-season weight training — should it be done and how? • Off-season running — position specific programs. • Pre-game warm-up and during game maintenance. • Off-season strength program for adding power without bulk. • Plyometrics for baseball/softball.Creatine and other nutritional supplement use. • Avoid ankle sprains and other injuries. • Revolutionary coding system with each article telling the appropriate training level based on a player’s training age — beginning, intermediate or advanced. • Improve double play quickness. • Improving bat speed. • Visualization techniques. • Mastering the mental game. PLUS Get the Pro Baseball/Softball Conditioning Digest. • Interviews — In-depth looks at today's latest conditioning methods and why they are done. • Questions and Answers — Most frequently asked questions about how the best train and why they train as they do. • Favorite Exercises of the Coaches/Stars — Glimpses of conditioning-related exercises done by top players and coaches to improve their performance. Presented in detail. • Scouting Report — Learn what top coaches and scouts look for when evaluating players. Plus, what players need to do to impress, get noticed, and what areas they should work on.